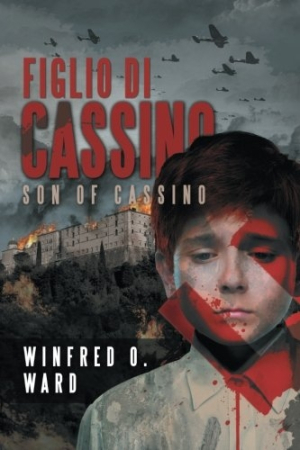 Ward’s Figlio di Cassino, with its indomitable young hero, creates an intense appreciation for the human spirit. With Figlio di Cassino, Ward solidly sketches the tragic years of World War II—and the hardship and deprivation that followed—through a resourceful Italian peasant boy, Stefano Capaldi. Relying on exposition, most notably as it opens in a short prewar thread, the third-person narrative nimbly avoids the difficulty of writing from the point of view of a child. Stefano’s father dies when he is very young, and his mother dies soon after. At eight, Stefano is left in the care of his fourteen-year-old sister, Marta, and his uncle, Sandro, who lives on an adjoining farm. Encounters with soldiers on patrol, artillery and bombs, and Stefano’s postwar attempts to earn money by gathering spent ammunition are fraught with danger, providing tense, well-written passages. The setting—the Liri Valley south of Monte Cassino—is beautifully rendered, as is the day-to-day life of Italian village people. Stefano’s part in this life is well detailed, with descriptions of the hard, yet sometimes pleasant, work of wringing a living from the land. However, their society is also shown to be patriarchal. Marta, who is shy, introverted, and traditional, accepts her place. Stefano, who is a redheaded firebrand with a sense of responsibility and an intense work ethic, often runs afoul of traditions. In some sense, the war frees him. Role-players—village barkeep, barber, friends, cousins—are distinctively portrayed, and the collective characterization of a war-ravaged civilian population provides evidence of solid research. This becomes evident as Marta and Stefano join Sandro’s family as refugees and encounter other citizens, some left untouched by the violence. “Good” Germans, mostly the common Wehrmacht soldier, get their due. Some share food. American GIs are shown to be kinder and generally more generous. An American aviator joins the cast late, complete with backstory. His first and second encounters with Stefano add depth to the novel. As the war ends and the novel draws to a close, there’s a thought-provoking thread about the will to survive. Stefano—still slight, still determined—works as a mason’s assistant to support Marta and to restore their farm, all while coping with teenage angst. This sequence is solidly written, with insight and interesting descriptions all weaving toward an acceptable, though rushed, conclusion.